Heavy duty, multi purpose tape for use on all floor coverings except vinyl. 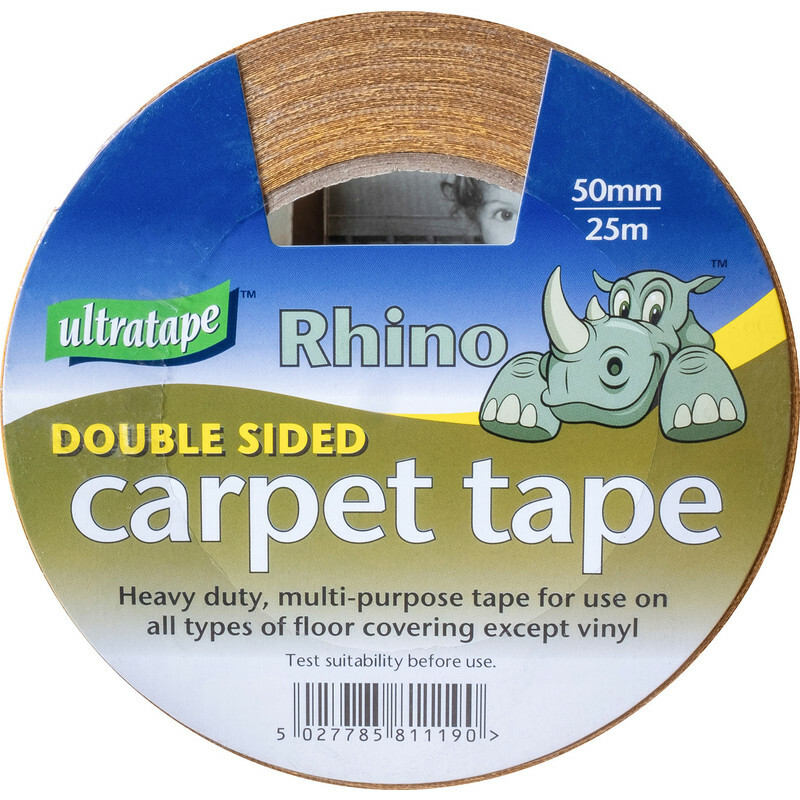 Double Sided Carpet Tape 50mm x 25m is rated 4.4 out of 5 by 7. Rated 5 out of 5 by KEITH 44 from It works It works very well, only needed to use a little on each corner. Rated 5 out of 5 by connieboy from Very pleased Just used on a carpet repair to cut out old square damaged by cat and stick down new square of carpet. Sticks fantastic. Tip: Use the sharp carpet knife to separate the tape from backing strip. Rated 1 out of 5 by dmx1 from Does not stick to synthentic rubber Sticks strongly to everything except synthetic rubber. Tried to use on a rubber backed floor mat and had absolutely no stick. Rated 5 out of 5 by Peter666 from Walking Rugs I have put down rugs in my living room to protect the new carpet from sparks, logs and dust from Stove. They started to march out of the room. Tape at both ends to hold it in place. Works a treat. Just down, so not sure how long it will last before replaceing. Big roll, so have plentry spare.